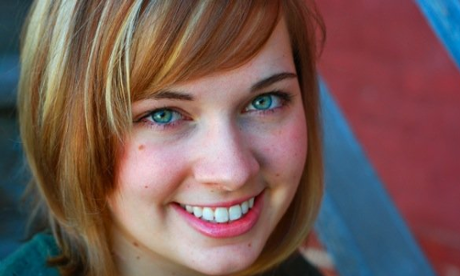 Lauren Peterson is a senior advisor at Planned Parenthood Federation of America and speechwriter for the organization’s president, Cecile Richards. She is also a former speech writer for the Obama campaign. 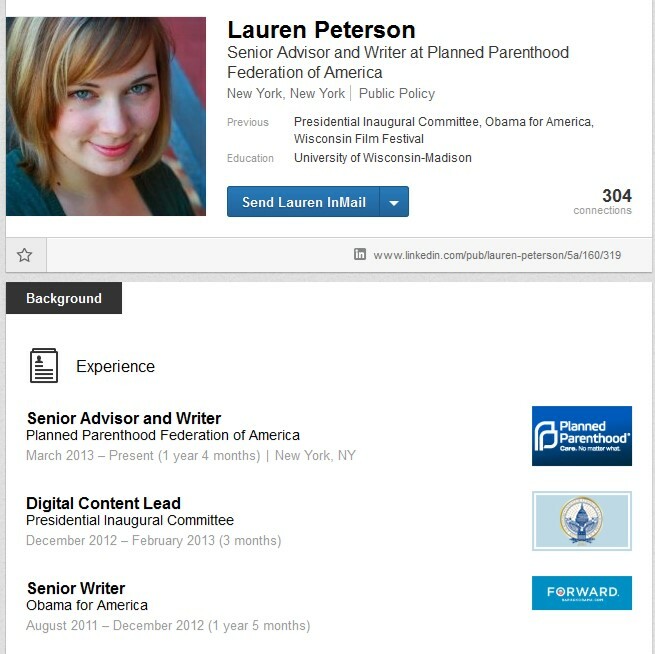 Peterson tells The Guardian how she became involved with the Obama Campaign, “I was on the digital team, so I wrote for everyone – from helping the guy who won “Dinner with Barack” and regretted not taking the French fry offered to him by President Obama (hi, Scott! ), to sending an email to supporters, to writing video scripts for just about everyone, to working on our website. I tweeted, blogged, produced audio pieces, learned from our amazing speechwriting team and, best of all, traveled around the country to campaign rallies where the president was speaking. According to a Federal Election Commissions report The Obama campaign dispersed $3695.64 to Lauren Peterson.